Dr. Dang received her Bachelor’s degree in Biology from The University of Southern California in 1996. After attending USC, she continued with her doctorate degree from the prestigious Tufts University School of Dental Medicine in Boston, and graduated in 2000. 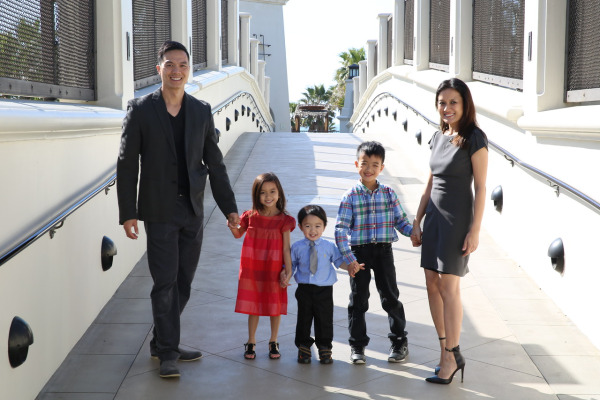 Dr. Dang firmly believes in keeping up with the many advances in dentistry, and regularly attends numerous continuing education courses throughout the year. She is a preferred provider for Invisalign as well as an active member of The Scottsdale Center for Esthetic Dentistry. She is also an active member of The California Dental Association, The Orange County Dental Association, and The American Dental Association. In her free time, she enjoys spending time with her family and children, attending her kids' baseball games, swimming, and music recitals. Her hobbies include drawing, bass fishing, and reading history novels. "I believe in putting the patient needs first. I am a firm believer in conserving tooth structure and keeping natural teeth as long as possible. Together, I like to develop a treatment plan with the patient, and finding treatment that is best suited for the patiient's overall health. Coming from a medical family, I loved watching my father ( a general surgeon) help people and make them feel better. The care and sincerity he projected is what I envision for my practice and patients."